Friday, 12 May 2017 marked a historic day for children living with disabilities in Grenada. 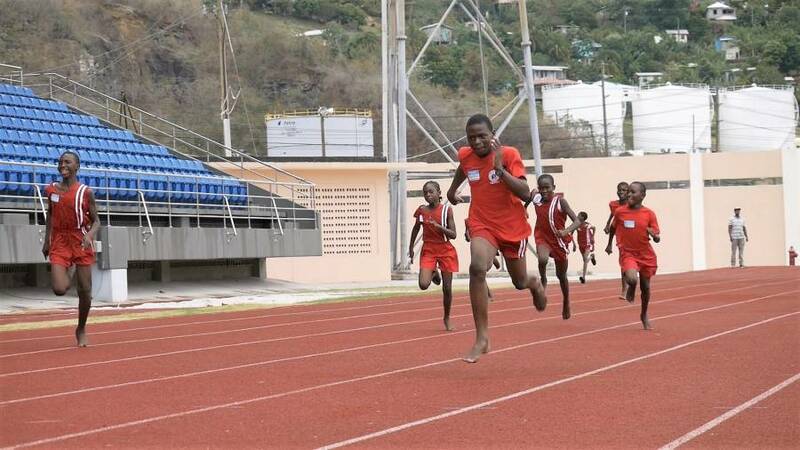 The Jason Roberts Foundation and other stakeholders partnered with the Grenada National Council of the Disabled (GNCD) to host the 1st ever National Sports Meet for children living with disabilities at the Kirani James Athletic Stadium. Coordinator at the GNCD, Hillary Gabriel, noted that it was indeed a special day for all involved. She expressed the sincerest gratitude to the main sponsor and partner for the event, the Jason Roberts Foundation. Gabriel commended the Ministry of Sport, the Ministry of Social Development, the Stadium Authority and the other agencies and individuals who came on board to make the day’s event a reality. This event was in the pipeline since last year, and Gabriel said that Minister for Sport, Hon Roland Bhola, gladly jumped at the idea. Minister Bhola congratulated the GNCD and others involved on this initiative. He also pledged his ministry’s commitment to continued assistance. He reminded the children that the event is not just about winning, but about the encouragement and support that they receive. Representatives from the Jason Roberts Foundation included Rob Burton, Disability Coordinator, and Johnathan Bath, Physical Education Teacher. Burton described the sports day as “fantastic,” and a celebration of how far the Foundation has come. Some of the sporting events throughout the day included track and field, football, cricket, golf and boccia. The NOW Grenada team caught up with a proud parent, Ms Marcia Charles, whose daughter attends the Victoria School for Special Education. She is an avid supporter of all the school’s activities, and Friday was no different for her. “Fun” is what she described it as, especially because her daughter was competing.